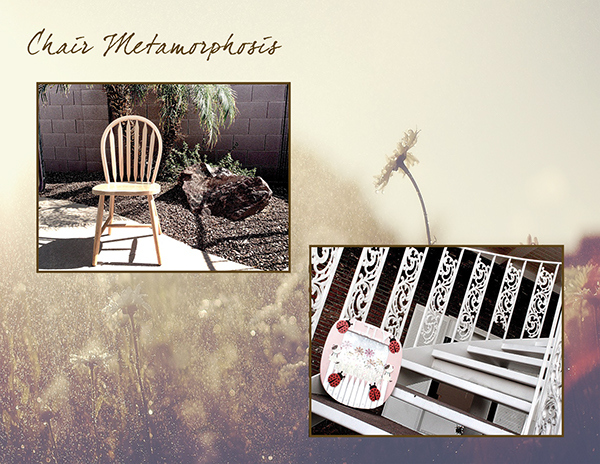 Taking a chair and turning it into something completely different is no easy task. In this piece of work a simple dining room chair was taken and torn apart to create a picture frame using the seat of the chair. It was then painted and wooden animal figures were added along with a white picket fence made from the chair back.